Despite what you may watch on late night TV infomercials, don’t expect to “get rich quick” in real estate. There are many ways to build wealth by creating a profitable real estate portfolio, but it takes investment savvy, patience, research, and time. We would love to help you get there! #1 They begin their investment adventure without a plan. They buy a piece of property, convinced that it’s a “good deal” and then go about figuring out what to do next. That’s working backward, and it’s likely to result in trouble. Begin by creating an investment strategy, based on your individual goals. That might be building long term wealth, or it may be realizing some quick profits in return for some sweat equity, flipping houses. 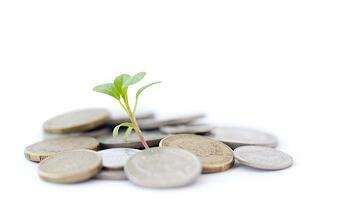 Our investment experts can guide you in establishing a plan based on your particular objectives. #2 They tend to be emotional. Investing in real estate is very different than buying a home as a personal residence. It’s important as an investor to be detached, and stick with the formula that produces the return on investment objective that you’ve set. If you find yourself in a bidding war, you should be able to walk away when the price exceeds the established parameters in your formula. #3 They fly solo. Novice investors try to pinch pennies by wearing all the hats in a transaction. Successful investors work in teams, where they have surrounded themselves with a circle of professionals who are all working together to deliver a common goal. At a minimum, you’ll need an experienced investment REALTOR, an accountant, an attorney, a lender, and access to a reliable network of contractors, including a home inspector and a handyman. #4 They pay too much. Again, stick to your formula. A carefully prepared analysis can tell you exactly what your return will be, based on certain criteria. You must be willing to walk away if the seller is unrealistic or unwilling to work within your parameters. #5 They avoid doing homework. You wouldn’t think that you’re qualified to perform brain surgery without years of education and specific training. So, why is that so many would-be investors jump right into major financial purchases without investing any time at all in research and knowledge? There are many great books available on the subject, many on our bookshelf. There are also hundreds of great articles and case studies available to you online. #6 They skip due diligence. No matter how sweet the deal appears, you should always perform due diligence before getting so far into the transaction that you’re committed. At a minimum, that means getting a qualified home inspector to do a thorough review of the property, to alert you to any condition issues that you’ll need to account for in your proforma. #7 They underestimate tax consequences. There are many different ways to build wealth through real estate investing. Understanding the ways that you can capitalize on tax benefits is an income stream in and of itself. You should thoroughly understand the ramifications of capital gains, as well as the opportunities presented by 1031 tax deferred exchanges, before you pull the trigger. #8 They ignore timing. Although the buzzwords in real estate have long been “location, location, location”…savvy real estate investors know that the real key to building wealth is “timing, timing, timing.” All real estate is cyclical, and understanding the dips and peaks can mean the difference of thousands in your pocket. Be a student of the market. Understand inventory levels, absorption rates, days on market, and appreciation percentages for the areas that you’re focused on. #9 They don’t do their financing homework. Having the right lender on your investment team is an ace in the hole. By understanding your long term investment objectives up front, an investment lender can make sure that you are qualified for the right loan programs to meet your objectives, as well as making sure that you have funds available when you need them. Sometimes an investor is better served by a banking relationship, and sometimes a mortgage loan officer is a better fit…all depending on the scope of the investment plan. #10 They don’t have a Guide. Creating a team, resources for knowledge and case study review, help to determine investment goals, and a plan to get there, access to a network of experienced professionals…all of those things add up to successful investing. And, all of those things are delivered by a seasoned investment counselor, someone who is experienced and knowledgeable and connected. We would love to be your Guide! Download our FREE eBook, Field Guide to Real Estate Investing, and find out what every investor should know!